The easiest and cheapest way to find out your criminal record is to apply for a copy of your police records from the Police. You’re entitled to exercise your rights to obtain information that is held about you under the Data Protection Act 1998. This process is known as a Subject Access Request. 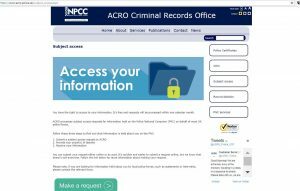 Although this relates to lots of different government agencies, in relation to the police, a subject access request is your right of access to verify the information held about you on police computers. A subject access request to the Police National Computer will either provide a certificate stating that there is currently no information held about you on the Police National Computer, or it will provide a list of all the information held on the computer including all convictions, whether they are spent or unspent. This page will explain this in more detail. To establish what information the Police hold on you for your own purposes to ensure that police information is accurate. You can apply via your local Police Force. 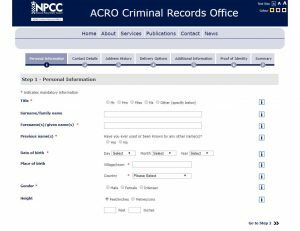 Each police force normally has a form to complete, which is usually available online but can also be requested in writing. 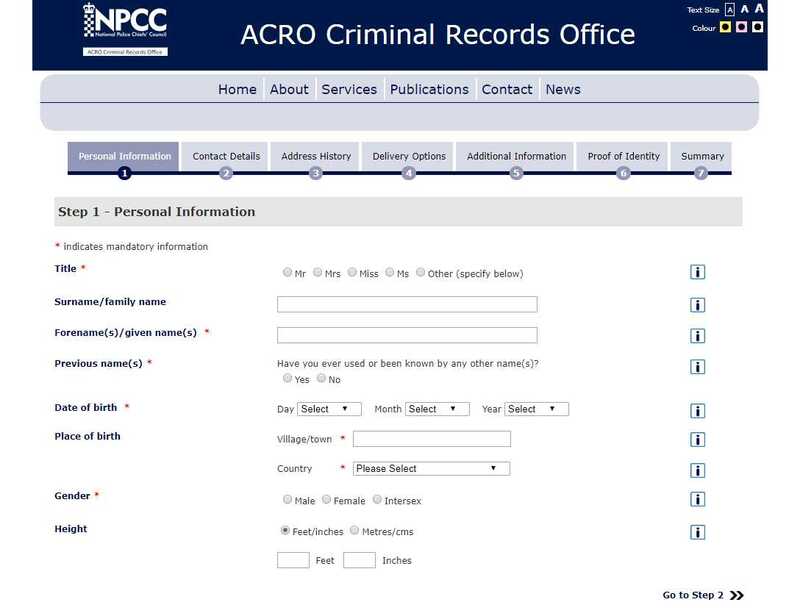 ACRO provides Subject Access disclosures from the Police National Computer on behalf of most police forces in England and Wales (apart from Derbyshire, Gwent and Sussex), Northern Ireland, Jersey and the Isle of Man. 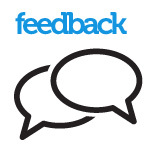 Requests can be made by post or online. Details of both can be found here. ACRO also have a useful further guidance page providing additional information on SAR’s. If you want a copy of all of your personal data, you should make sure that you request to see both PNC data and any information held locally by your local police force. If you apply online via ACRO, you can choose to get the details sent by email. You should not be required by anybody else to provide a copy of your police records to them. If this happens, you should read our guidance on enforced subject access. Click above image to go to a readable version of this letter and four examples pages of a Police Record – SAR. If you feel the information in inaccurate, you will need to contact the police force who holds the information outlining the inaccurate information. Each Chief Police Officer is the Data Controller for their PNC record, and has the ability to delete information. There is an exceptional case procedure, but this is normally confined to deleting local police information such as allegations. It was announced in early 2014 that the final elements of the Police Act 1997 will take effect. With this comes the news that enforced subject access will be a criminal offence. This came into force on 10th March 2015. Read more here.